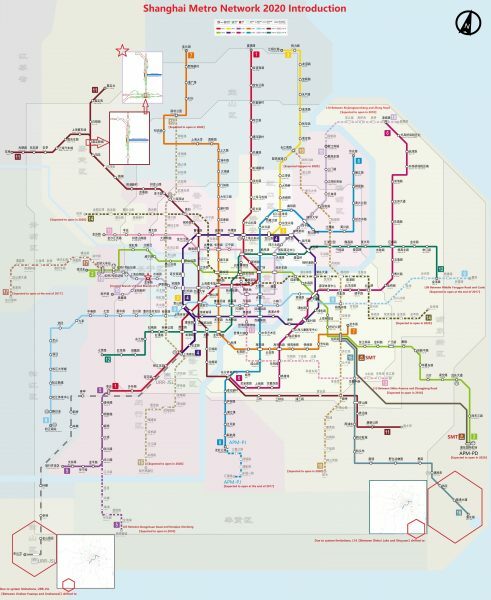 This is Xeon’s simulation of the ENTIRE Shanghai network as it will be in 2020. I thought Birmingham was a big railway but I know better now, it’s just a tiddler. 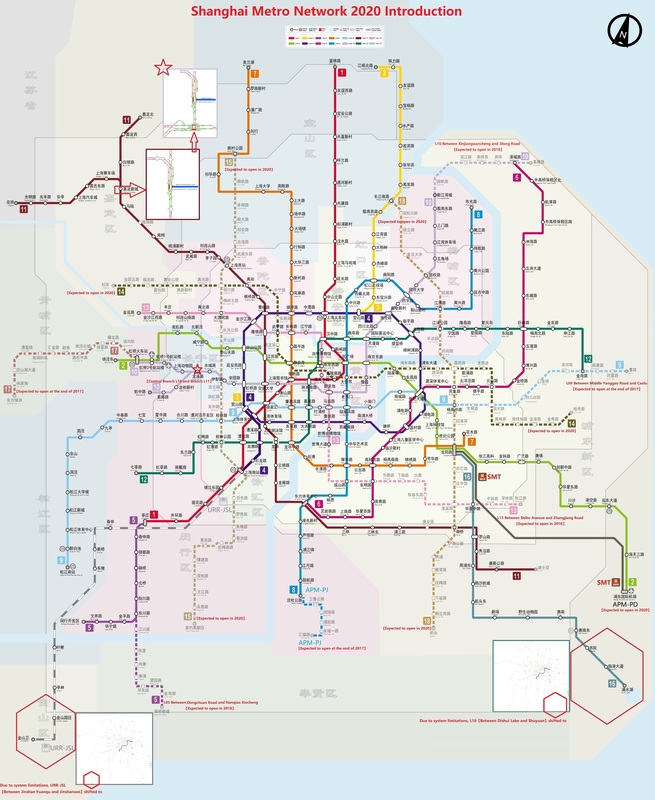 Birmingham has 3,589 track elements, but Shanghai Metro has 41,804! Almost 12 times as big. I confess that I didn’t think the program would be able to handle a railway of this size, but amazingly it does. Xeon contacted me initially because he was having trouble creating an image file, which turned out to be a memory error – the image was over 500MB in size and wouldn’t save. I tried to persuade him to create the lines as separate railways as I was convinced that there would be many more memory problems, but he persevered and discovered that as long as the image file is less than 500MB it will save OK, and the rest works fine. As you will see from the diagram he has made a few adjustments to make it fit.